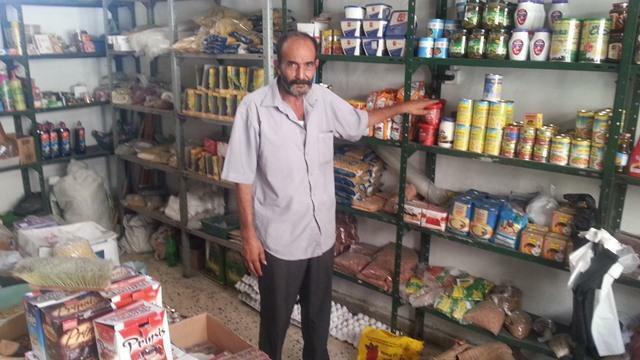 A loan of $2,500 helped to buy a refrigerator and some food as well as to enlarge and develop his store. Ramdan is 60 years old and he is from Gaza. He is married and has four children. He has owned a small grocery store since 2008. He has requested this loan from Ryada in order to buy a refrigerator and some food as well as to enlarge and develop the space of the store. He hopes that this loan will help him improve his income and provide his children with the best life he can offer. Palestinians face unique challenges due to the economic and political environment in the West Bank and Gaza. Click here to learn more about how Kiva and Vitas Palestine are working to help Palestinian borrowers overcome these obstacles and how your support can make a difference. Vitas Palestine was Kiva’s first partner in Palestine, giving us access to a very important yet challenging market. For its efforts, Vitas received a grant from USAID to expand its portfolio. As the institution’s first debt funder, Kiva has enabled Vitas to diversify its operations, reach more borrowers, and work toward becoming a sustainable, independent business.